Was this taken within the timeframe of the challenge ? You were really in the right spot at the right time! Tall ladies in gowns have that effect on me also! Just kidding. Nice photo. I would like a little more contrast, but that might have made the boat too dark. Nice ! The background could be a bit more leveled. 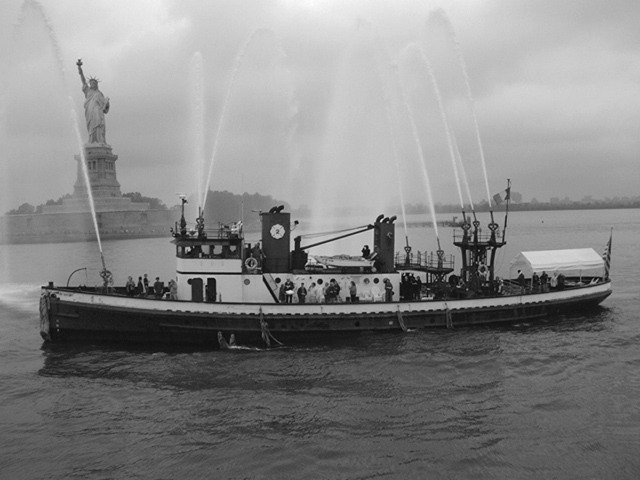 Great Fireboat. NYC has the best. Good capture and interesting to view. Nice going. Proudly hosted by Sargasso Networks. Current Server Time: 04/22/2019 07:57:19 PM EDT.